Our Day Farm is located in Elgin, IL and Wellington, FL. 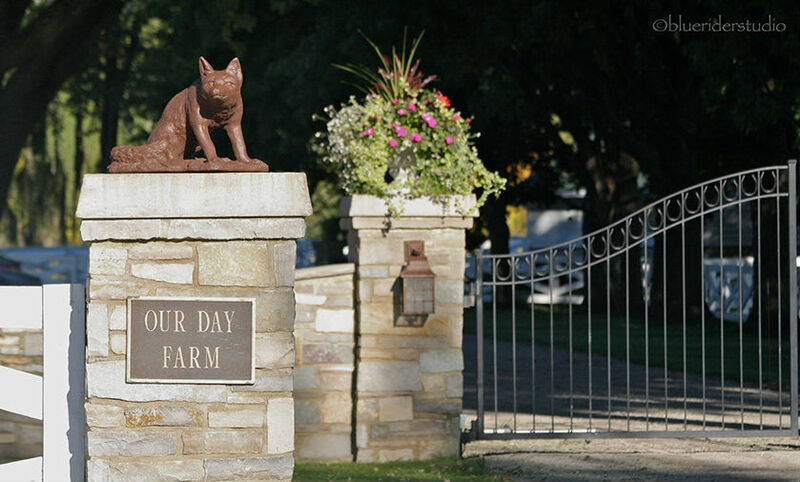 Elgin, IL – July 24, 2014 – With a long list of accomplishments in every ring, the Our Day Farm team is a wealth of knowledge and expertise in the hunter jumper world. The family business was founded in Elgin, IL over 30 years ago by Alex and Linda Jayne and continues its winning tradition with the next generation of riders. For the first time in their 30-year history, the farm has open stalls ready to be filled. Maddy Thatcher went from the pony ring to the grand prix ring with the Our Day Farm team. Maddy Thatcher, one of the Our Day clients from Bluffdale, UT, is headed to Clemson University to work on a degree in microbiology. She wanted her horses to be near her new home so they will be heading off to college with Maddy. Maddy began riding with the Jaynes when she was in the pony division. In a short period of time, she can now add to her resume, winner of the Junior Jumper Speed Class at the 2013 Pennsylvania National Horse Show, 2nd in the Low Junior NAL Finals in 2013 and ribbons in many of the Midwest Grand Prix events. Maddy won the Large Junior Hunter Stake 15-17 at the 2013 National Horse Show on Summer Place and qualified for the Hunter Championship class in WEF in 2012. 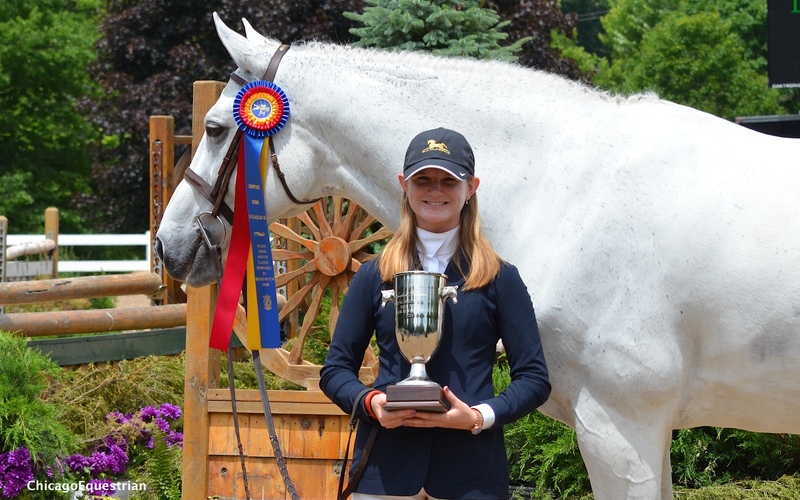 In addition, Maddy earned multiple Junior Hunter Division Championships aboard horses such as Summer Place and Stuck on You including Grand Junior Hunter Champion at Spring Spectacular and Champion at Lake Placid. Our Day Farm wishes Maddy much success as she begins her college years. The Jayne family business brings years of experience in training young riders, beginning with their own experience of bringing their children; Maggie, Charlie and Haylie, from the pony ranks, though the equitation and junior hunters to the grand prix and Olympic team level. The list of credentials for the young team of trainers at Our Day speaks for itself, with numerous wins at the Pennsylvania National Horse Show, the Washington International Horse Show, the National Horse Show, Devon, the Winter Equestrian Festival and the Global Champions Tour to name a few. Our Day Farm invites you to join their team and share the same success as their team and their clients have. They are eager to share their knowledge with serious riders and owners who would like to be part of the winning tradition. The Our Day family accepts students from Short Stirrup to Grand Prix with an interest in top-level competition. Our Day Farm is the only farm in the country currently sending horses to represent the United States in Nations Cup and International competitions around the world while simultaneously winning in the top hunter divisions. Each of the trainer’s individual accomplishments enables them to train horses and riders from a diversified set of experiences. Maggie Jayne has a long list of hunter championships on her resume. Maggie herself is a USEF Medal Finals Winner and earned a gold medal in the Individual Junior Jumper Pix de States at the Pennsylvania National Horse Show. Maggie lead Pony Lane Farm to the USEF Leading Hunter Owner Award four times along with a long list of other hunter championships. She holds the title of the Leading Hunter Rider at many shows including the prestigious Pennsylvania National Horse Show and the Syracuse International Horse Show. Maggie’s style and theory of training hunters shows in her success, making her a valuable asset to the Our Day team. Charlie Jayne has numerous Grand Prix wins and international success. Charlie has also had a stellar career, winning his first grand prix at age 18. He has numerous top grand prix wins on horses such as Urbanus, Athena, Chill RZ and Uraya to name a few. 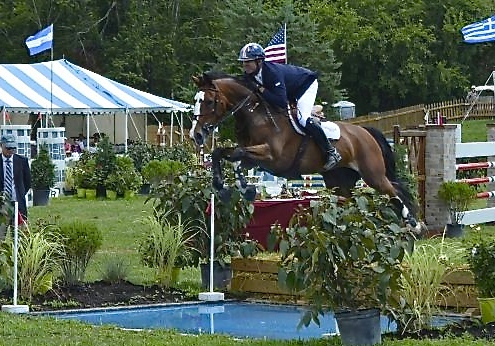 His major wins include the $50,000 Idle Dice Open Jumper Stake at Devon with Chill R Z, the $125,000 Strongid Grand Prix in Saugerties with Athena, not to mention, placing second to McLain Ward and Sapphire in the Pfizer $1,000,000 Grand Prix. Charlie earned himself a spot as the first alternate for the 2012 London Olympics with Chill R Z and has competed numerous times internationally with huge success. Charlie is eager to share his international experience and knowledge with Our Day Farm clients. Haylie Jayne Rolfe brings multiple championships from every ring. Haylie is a graduate of the University of Georgia and helped their NCAA Equestrian team win three national titles. 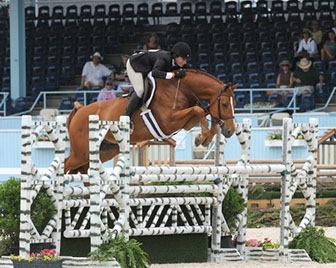 She has earned ribbons in every medal final including the Reserve Championship in the 2006 Washington Equitation Finals. Haylie has earned top honors in the hunter ring including Washington International Horse Show’s Grand Junior Hunter Championship aboard Clementine. Not stopping there, Haylie was part of the Prix de States Gold Medal Team in 2005 at the Pennsylvania National Horse Show. Haylie’s mileage in every ring brings another angle of experience and knowledge to the Our Day Farm training team. If you’re ready to win, Our Day Farm has a stall for you. Feel free to talk to an Our Day Farm team member about their program and their facilities, including Wellington, FL. Contact Alex, Maggie, Charlie or Haylie at www.ourdayfarm.com or Alex at 847-612-9288. 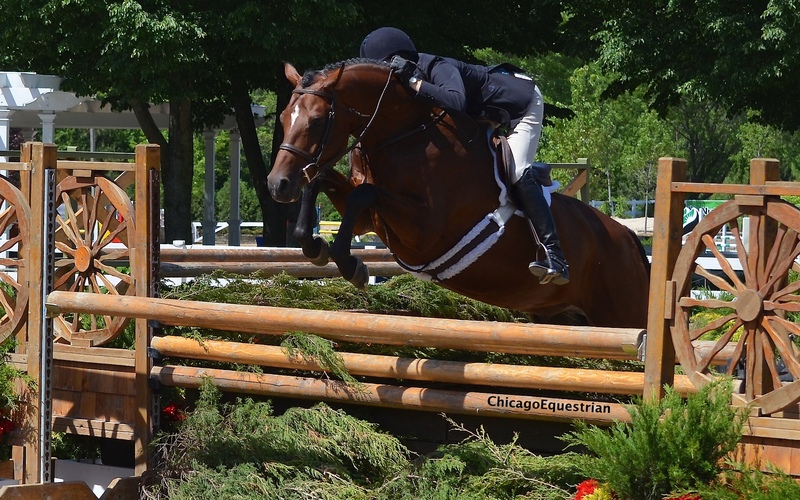 Photos courtesy of client's website and Chicago Equestrian and may only be used in relation to this release.